Nonstop rain? 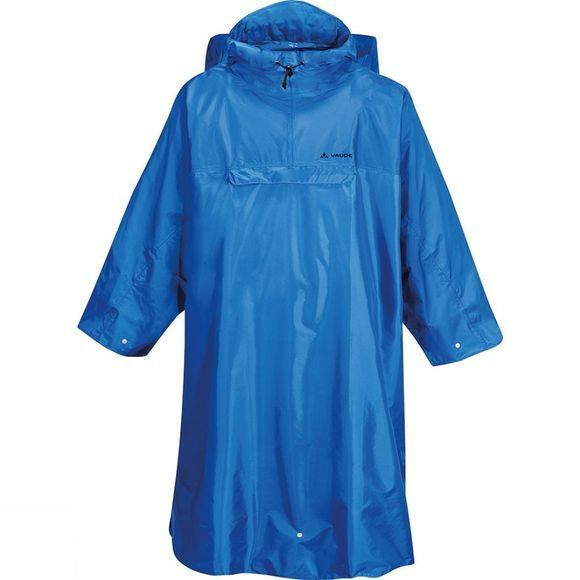 This waterproof and windproof rain poncho made of breathable material really trumps it all, because with it you can keep dry on rainy tours even with a large backpack. The protective hood is adjustable and the back can be expanded with the zip to protect your backpack. In addition, you can pack the poncho in its own small pouch pocket to save space. For more walking safety and weather protection, the length can be adjusted and secured between the legs to keep the wind from blowing it around. In combination with a pair of rain pants or waterproof gaiters, you'll even stay dry during torrential rains–and your gear too. 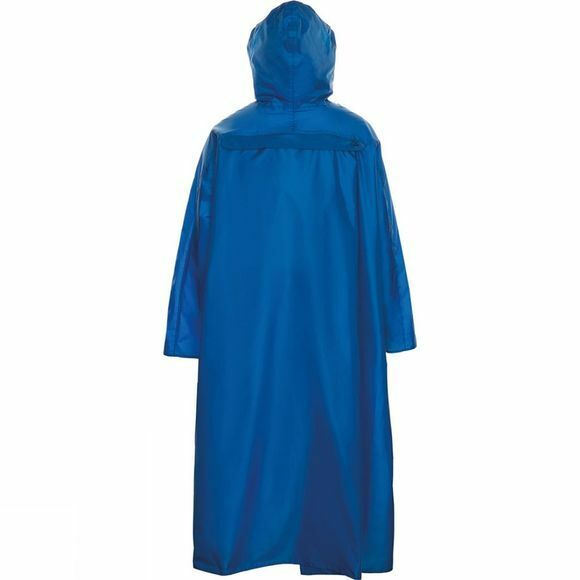 The poncho material is bluesign certified and resource saving and environmentally friendly manufactured.